The HortiStick is the ultimate all in one nutrient checker. It is an indispensable tool now made available for commercial, hobbyists and the home growers. The HortiStick is rugged and splash proof. 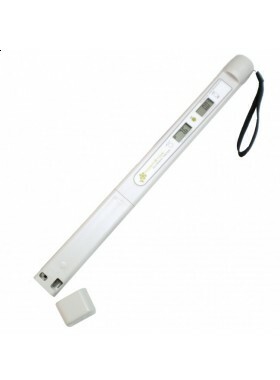 It can be used as a stirrer and at the same time, to measure nutrient concentration, pH and temperature at one go. 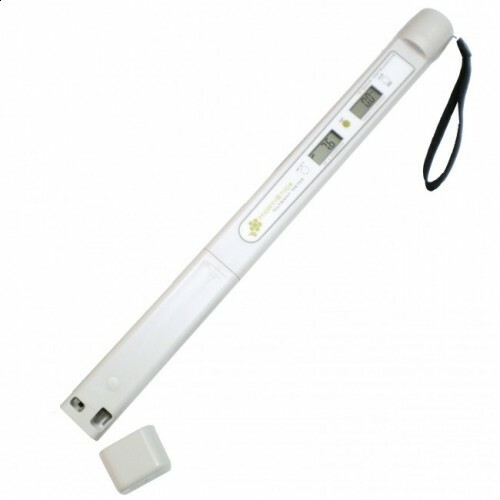 The HortiStick features a dual LCD display with backlighting - no more worries about in dim environments or any holding tanks. Each measurement is automatically freezed after a stabilized reading is established. Such feature is unmatched in other expensive all in one meters. Sensor probe is replaceable upon expiry. Save money and the environment as well! The meter uses 4 regular AA size batteries, commonly available everywhere. Calibration One point 2.8 EC One point pH 7 n.a. Say Meng has been extremely helpful in providing not just quality equipment and meticulous installations but his wealth is knowledge is something he shares freely to all his customers and he actually helped to save my “chye sim” plant from the brink of withering completely! Come and like us on Facebook and also check out our youtube channel for the latest tips on how to keep your greens green and your fruits flourishing!